Berkshire; sometimes abbreviated to Berks) is a ceremonial and traditional county in the south of England, to the west of London and also bordering on Oxfordshire, Buckinghamshire, Greater London, Surrey, Wiltshire and Hampshire. It is also known as The Royal County of Berkshire — this title being made official with a grant in the 1930s. The county is one of the oldest in England, being reliably dated back to the setting of the traditional county borders by King Alfred the Great of Wessex. Following the reorganisation of local government in 1974, Abingdon (its traditional county town) and the Vale of the White Horse were transferred to Oxfordshire, Slough was added from Buckinghamshire, and Reading became the county town. 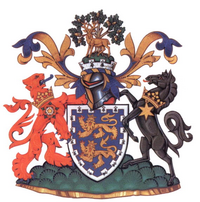 On April 1, 1998 the county council was abolished and the districts became unitary authorities. The county takes its name from a large forest of birch trees that was called Bearroc (Celtic for 'hilly') and was originally a transaction of land to King Cenwalh of Wessex. At this time, it only consisted of the northerly and westerly parts of the current county. The highest point in the county is Walbury Hill at 297m (974ft). It is the highest point on Salisbury Plain and in the whole of South East England. According to 2003 estimates there are 803,657 people in Berkshire, or 636 people / km2. 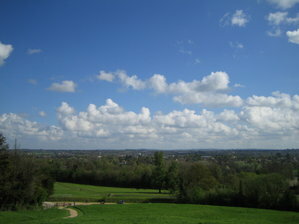 The population is mostly based in the urban areas to the east of the county, with West Berkshire being much more rural. The population has increased massively since 1831, this may be in part due to the sweeping boundary changes however. In 1831 there were 146,234 people living in Berkshire, by 1901 it had risen to 252,571 (of which 122,807 were male and 129,764 were female). Berkshire is a ceremonial and traditional county, and it is unusual in England in that it is the only administrative county with no county council. The district councils are unitary authorities but have no county status. In the unitary authorities the Conservatives control the West Berkshire, Wokingham and Bracknell Forest councils, Labour control Reading council, whilst the Liberal Democrats control the Windsor and Maidenhead council. Slough is controlled jointly between the Liberal Democrats and Conservatives. Since the 2005 general election, the Conservative Party dominates, controlling 6 out of 8 constituencies. 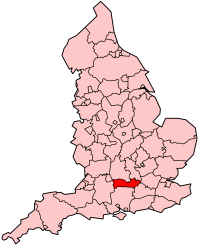 Slough and Reading West are both represented by the Labour Party. The largest town in Berkshire by population is Reading, however possibly more famous is the town of Windsor, the most famous resident being Queen Elizabeth II. Due to the administrative changes in 1974 there are a number of towns which are no longer administered as part of Berkshire, but instead as part of Oxfordshire. These include Abingdon, Didcot, Faringdon, Wallingford and Wantage.